Whether you’re a do-it-yourself bride or planning to hire a florist, these useful tips will help you save money on wedding flowers. As your wedding day approaches, your brain might be buzzing with details about the venue, the menu, the music, the cake, your wedding dress, and of course, the flowers. There's also a good chance you'll be concerned about that other thing—your wedding budget. Wedding expenses can quickly add up, often to the tune of $30,000 or more. In fact, $31,213 is the average cost of a wedding nationwide. 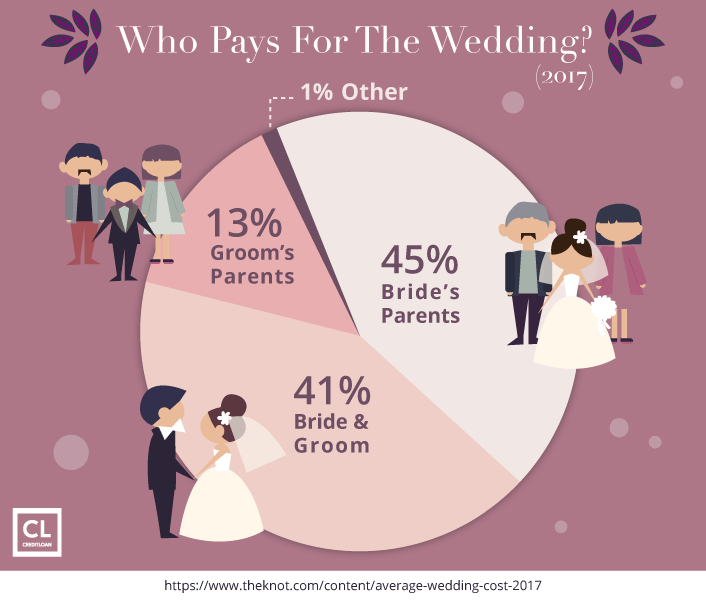 Of course, spending can vary depending on a number of factors, including where you live, the number of guests, and even the size of your wedding party. Wherever you are, though, you can expect wedding flowers to take up about 7% of your total budget. Ready to run off to be the bride and groom that elope sans wedding flowers? With expenses like these, it's easy to see how you could begin your new life as a couple saddled with debt if you don't pay close attention to your wedding budget. Not a great way to kick off combining your finances, is it? It's definitely not the fairy tale ending you've hoped for, but it could be even worse than you imagined. If you max out your credit cards (even those with a 0% introductory APR) on your wedding day, it could be harder to get a mortgage for your first home, pay off student loan debt, and enjoy your first years of married life together. But not all is lost; there's always hope! Finding smart ways to save money on flower arrangements—from the biggest blooms to the smallest baby's breath—can reduce your wedding expense without watering down the atmosphere or dampening spirits. Thanks to our "florally frugal" tips, you'll be surprised to see how saving on wedding flowers is actually easier than you imagine. Then you can spend a bit more wisely for your big day and avoid going into debt. As a bonus, if you can put that spending on a rewards credit card that you're able to pay off each month, you just might be able to bank the travel points for your honeymoon! With a solidly-planned budget for your blooms and some handy tips to cut costs, you can save big—then spend the extra money smartly on other wedding costs. Like, perhaps it's a good idea to invest in a wedding planner to help save your sanity for the big day. Or better yet, stash your wedding day savings towards your very first home purchase as husband and wife. Don't fall for wedding budget myths. First up, get your wedding finances organized. Trust us—a budget will make it easier, whether you are broke or flush with funds. Plan your flower arrangements. Start by making a list of the flowers you'll need on your wedding day. Carefully creating this list can be almost as crucial as making your guest list when it comes to figuring out ways to save money on your wedding. And, just like that guest list, if you look at your flower arrangements closely, you will find places where you can make cuts. The "must-haves" (according to tradition, at least) include the wedding party essentials—a bridal bouquet, toss bouquet, bridesmaid bouquet, floral arrangement centerpiece, and boutonnières for the groom and ushers. Other flowers to consider: ones to decorate the wedding ceremony site and reception hall, petals for the flower girl, and flowers for the bride's headpiece. Also to be considered are corsages for those near and dear to you (like moms and grandmas of the bride and groom) and, possibly, flowers to adorn the wedding cake. Start cutting blooms. Off the list, we mean. If you don't see the value in adding anything to your wedding cake that isn't edible, these can go. While some brides do away with the toss bouquet, just make sure you don't have a maid of honor dying to catch it! Reuse your wedding ceremony flowers at the reception. If the wedding ceremony is held nearby or in the same venue as the reception, it's easy to let your flowers do double duty. Ask a close friend to transport your floral arrangements so you can use your altar flowers in the entrance to the reception hall or as decorative elements on your dais. Choose a naturally picturesque setting for your big day. Local parks, restaurants, nature-filled college campuses, or even seaside properties won't need much in the way of flowers or decorations. Get married in the off-season. Most of your wedding-related costs would take a dip if you decide to tie the knot in January or February. March and April are also top choices for cost-effective weddings because the chance of rain scares some brides. Save on decor costs as a December bride. If you can handle planning a wedding on top of holiday season stress (it's not for everyone! ), you can save even more. Get married in December, and your venue may already be decorated for the holiday season—instantly Instagram-worthy. Your guests will surely love the holiday cheer as they wish you the merriest new life together. Your choice of florist can make a big difference in the price of your flowers and the design fees. Ask your other wedding vendors for recommendations. Wedding vendors often provide discounts if you purchase a whole package, which could include the venue, food, cake, DJ or band, wedding planner, and the flowers. Shop around with outside vendors. As with any major purchase, interview at least three florists before making your selection. 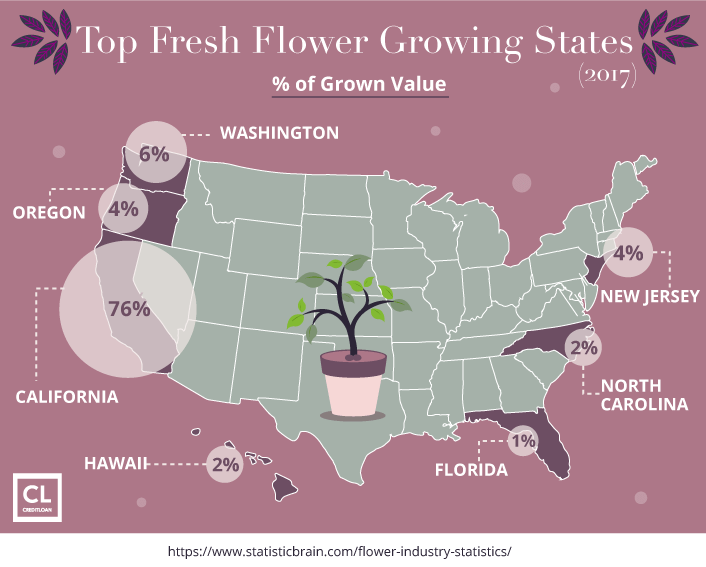 Remember that a florist who charges a bit more for design may turn out to be more knowledgeable about affordable, in-season blooms, saving you money overall. Shop your grocery store floral department. Grocery stores may not be known for their wedding floral arrangements, but many do an excellent job for a lower price than a dedicated wedding florist. Be honest with your florist about your budget. This is important no matter which type of floral provider you choose. A good florist will be able to help you do more for less. They can leverage bulk discounts on flowers, help you choose flowers that cost less, and put together a package that will make every aspect of your big day beautiful, from the bride's bouquet to the wedding party flowers. Buy just two types of flowers. As with most items, flowers cost less if you buy in bulk. 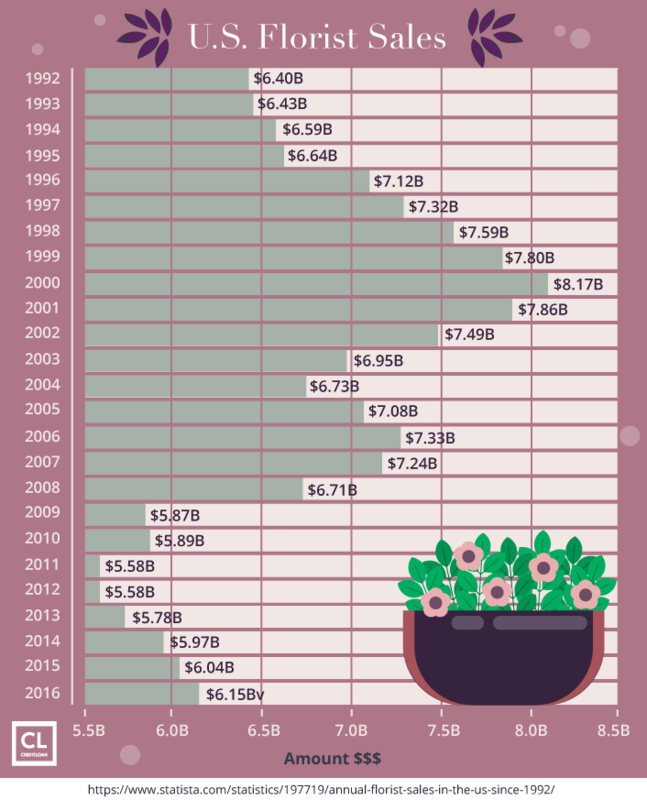 You can save as much as 15% when you buy higher volumes of one or two blooms, rather than multiple floral varieties. Sticking with just a few types of flowers is more cost effective and will also give your wedding décor a simple yet fashionably uniform look. Choose simpler arrangements. Classic bridal party bouquets cost less than cascading arrangements but can look just as pretty. Save money with in-season flowers. Talk to your florist about which buds will be in bloom for your big day. Calla lilies, chrysanthemums, and dahlias make a gorgeous fall bridal bouquet, especially if you choose common autumn shades. Roses, peonies, tulips, and lilacs will cost less in the spring. Think about lookalike buds. Want peonies for an October wedding but can't afford them? Consider a cluster of carnations, which will look just as good nestled in bridal party bouquets. Stock flowers can be arranged to mimic costly hydrangea, and expensive stephanotis can be substituted with tuberose. Ask your florist for other seasonal swaps. Combine expensive and less expensive blooms. Have your heart set on hydrangeas or roses? Use just a few in each centerpiece or bouquet and ask your florist to fill them in with lower-cost flowers and greenery. Compromise on color. Some flowers of the same type vary in price based on color. It may be ideal to have your flowers match the bridesmaid dresses or your lipstick, but consider using the more expensive color varieties only as accents. Think locally, buy locally. When a florist has to ship flowers from afar, they pass those costs on to you. Look for locally grown varieties to save on shipping. Do-it-yourself (DIY) doesn't have to mean dull. Adding a variety of shapes and textures to your centerpieces will create table décor guests will fight to bring home. Shop online. Search Etsy and Amazon to find craft-worthy materials to create unconventional arrangements. Add wildflowers and affordable greens. Hand-picked wildflowers and greens you can purchase inexpensively online or even find in the local woods promise to upstage even the costliest of buds. Choose flowers with large petals to create volume. Big, bright blossoms mean you need fewer stems, which reduces costs (and adds instant "wow" to your big day). Create themed centerpieces with fewer blooms. A single bloom in a vase can look sleek and sophisticated. Or opt not to make flowers the focal point of your centerpiece by using plants or candles. You can even incorporate your wedding invitations into the centerpieces for a personalized touch. With a little patience and ingenuity, you can make bridesmaids bouquets for a few hundred dollars, instead of the thousands you may need to spend at a florist. Build the perfect bridal bouquet and bridesmaids bouquets. Do your research: Learn to build beautiful arrangements by searching for tutorials on YouTube or checking how-to guides from popular wedding planning websites. Ask your crafty bridesmaids for help, and we'll bet your guests wouldn't even know the difference! Prep your flowers. First, cut flower stems at a 45-degree angle to preserve freshness. Store them in temperatures around 60 degrees—either in your garage in the winter or an air-conditioned room of your home in the summer. Arrange your flowers. Choose just a few stems of your pricier flowers, and then fill in with greenery for a full, beautiful bridal bouquet. Save money on materials. Bind the flowers with a clear hair elastic so they stay. Cover the elastic with twine for a more rustic wedding feel or use fabric that matches the bridesmaid dresses. You can even use leftover material from altered bridesmaid dresses for a perfect match. Assemble the boutonnières. Floral experts recommend choosing flowers with hearty stems, such as roses or carnations, for more durable boutonnières. Do the same to create corsages for special people in your family, such as mothers and grandmothers. Use leftover flowers to make flower girl petals. Trim the petals of leftover flowers for the flower girl to toss as you walk down the aisle. Choose fake flowers. Want to save even more on your flower costs and create keepsakes you and your bridal party can treasure forever? Use fake flowers instead of real ones and shave hundreds of dollars off your DIY wedding flower costs. A wedding with no flowers?! It's possible, and it can be just as beautiful for a lot less money. Light up the night. Use LED fairy lights to create a festive atmosphere in entryways, around tables, and even in flowerless centerpieces. Bask in the glow of candlelight. Floating candles make beautiful centerpieces. You can even have bridesmaids carry candles in holders down the aisle. Better yet, after they blow them out, they can have their hands free for the rest of the ceremony! Think beyond bridal party bouquets. Bridesmaids can carry lanterns, parasols, pinwheels, fans, or even purses. Then carry the same theme into the centerpieces for a consistent design. You can have amazing wedding flowers without ruining your wedding budget or going into debt. All you have to do is set your budget, think creatively, and be open to cost-saving ideas. If you liked one or more ideas from the list above, go ahead with them and see how much you could save. Whether you decide to craft your bouquets and boutonnières yourself or hire a florist who's well-versed in various ways you can save on money, there are creative ways to have the wedding of your dreams without going into debt. After all, there's nothing better than starting your new life together on firm financial ground! How much did you have to spend on flowers on your special day? Are you still planning your wedding? Have you come across other tips and tricks on saving on floral expenses? Let us know by sharing them in the comments below!